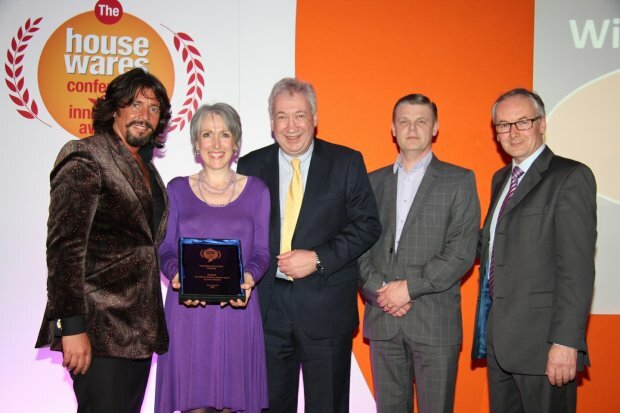 In the latest edition of the Progressive Housewares magazine, Progressive Housewares features an article on the Excellence In Housewares Awards2013. 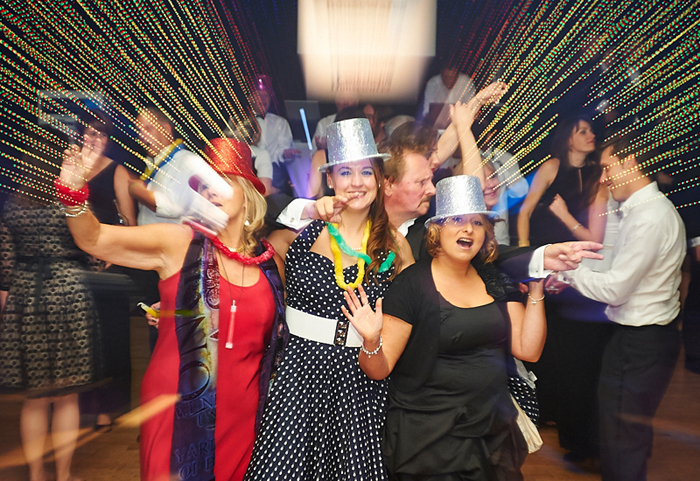 The article goes into detail about the event and its massive success “Over 400 members of the housewares industry joined the parade and got into the rhythm at the Calypso Carnival themed Excellence in Housewares Awards Ball” the article features images of the events proceedings and in particular an image of EPE’s very own Megan Bailey & Ray Swarbrick on the dance floor shown here below. 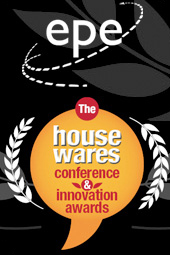 EPE support these events and look forward to attending the Excellence in Housewares Awards 2014. 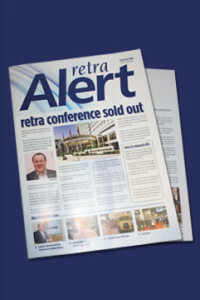 In the october/november issue of the retra Alert, retra have written a follow-up review on this years autumn fair. 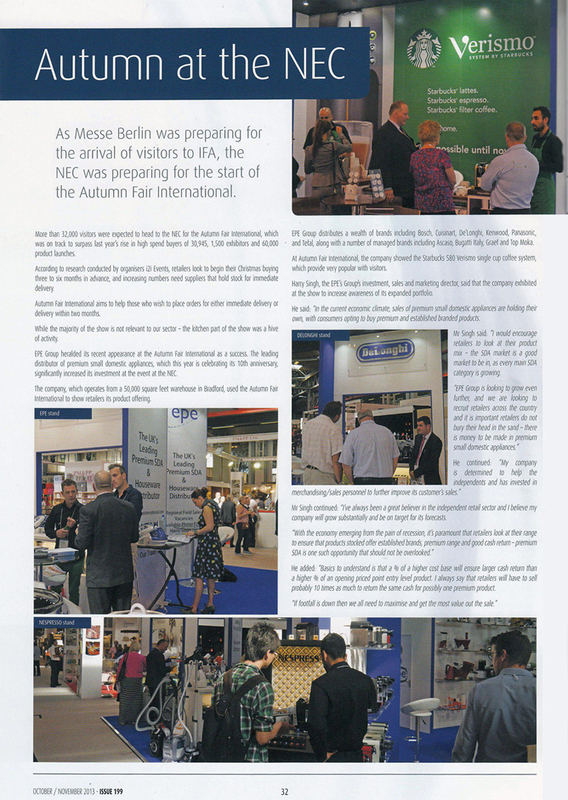 While praising the Autumn fair on its growth & success this year, retra have written a piece on EPE featuring an interview with the companies Investment, sales & Marketing Director Harry Singh. 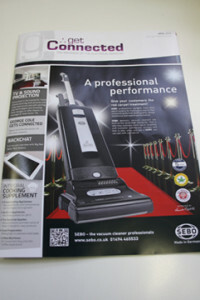 The latest edition of the Progressive Housewares magazine features an article on the Excellence Awards 2013. 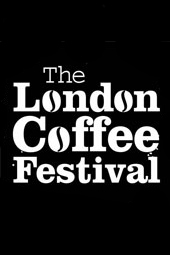 The article goes into detail about the awards and how the finalists are chosen. 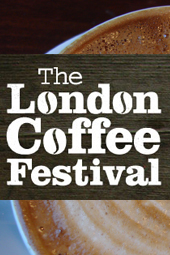 The article also mentions epe, as we are on this year’s retail judging and validation panel. 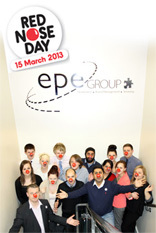 Representing epe on the panel is sales development director Megan Bailey. 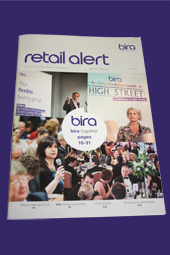 We are proud and delighted to be a part of this event and this year we are sponsoring the award for excellence in retail training. 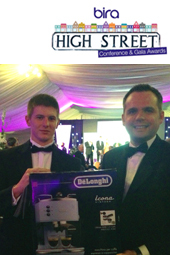 The winners will be announced at the Excellence Awards ball at the London Lancaster on the 9th October. 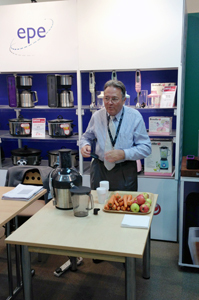 The Philips HR1861 juicer was a big hit at this years AIS show. The juicer was demoed by David Parkes. Using a selection of fruit and vegetables many different combinations of juices were prepared and sampled by customers old and new. The Philips juicer HR1861/00 is made from anodised aluminium with a unique micro-mesh filter for easy cleaning. The XL feeding tube allows for constant feed and 2 L pulp container enable extended periods of use without the need to empty. The HR1861 can be found in the food preparation section of The Buyers Choice. EPE’s sales reps from the south and north (Ray Swarbrick, Megan Bailey, Andrew Waller, David French, Neville Short, Sam Piechota, Anita Kirkham, John Graham, Philip Baker, Grahame Maskell) came to the demonstration that was being presented by Ascaso’s product manager David Escoda. 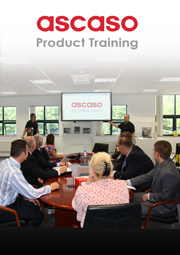 The Demonstration revolved around giving our reps a better understanding of the Ascaso brand. 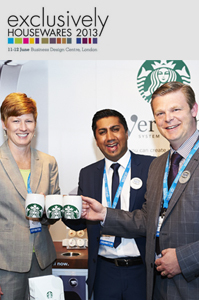 The Demonstration gave insight into some of their flagship products like the Ascaso Dream Coffee Machine and other products in the Ascaso Range. 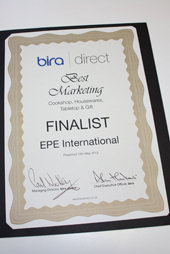 EPE were recognized by the Bira Direct Supplier Awards 2013 as being one of the FINALIST for Best Marketing. It is a great achievement to be recognized for our efforts. 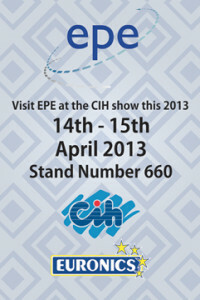 EPE was invited to the Housewares conference on Tuesday 16 April 2013 at Heythrop Park in Oxfordshire. Noel Pamment presented the 2013 tabletop innovation award, which was sponsored by EPE. 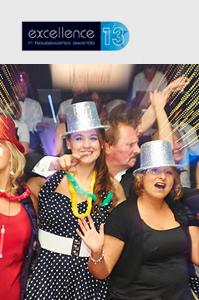 This event was tailored exclusively for the Housewares industry. 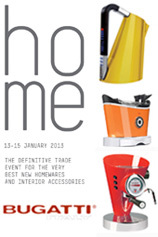 These events have consistently attracted speakers, delegates, sponsors and entries from Britain’s most important Housewares retailers and suppliers. 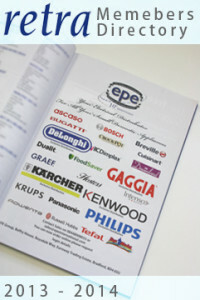 In the latest edition of Get Connected EPE celebrates its 10th anniversary and shows some of the brands featured in our portfolio. 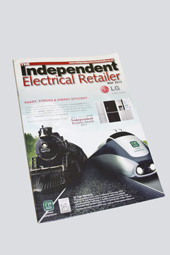 In this month’s edition of Cookshop EPE talks about stocking or expanding more premium small domestic appliances. Harry Singh, says: “the SDA market is a good market to be in, as every main SDA category is growing.” Harry also talks about looking to expand and recruiting retailers across the country. 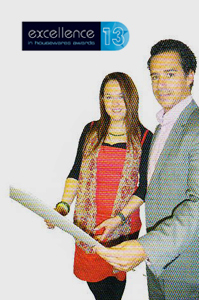 Noel Pamment the managing director expresses his desire to work with more independence as the company celebrates its 10th anniversary. 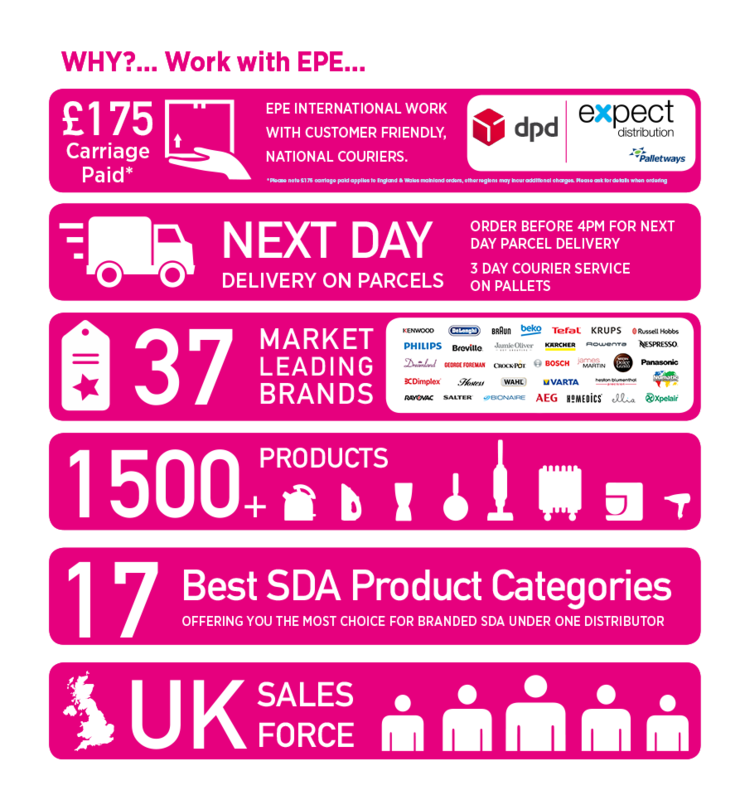 Do not miss the chance to see EPE at the NEC Spring Fair 2013, the year’s largest home & gift event with the latest products and trends from 3,000 exhibitors, across 13 show sectors. 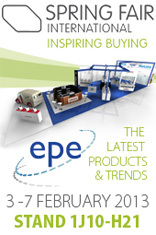 EPE are exhibiting at the NEC Spring Fair from the 3rd – 7th of February 2013, you can find us in hall 1 at stand 1J10-H21. 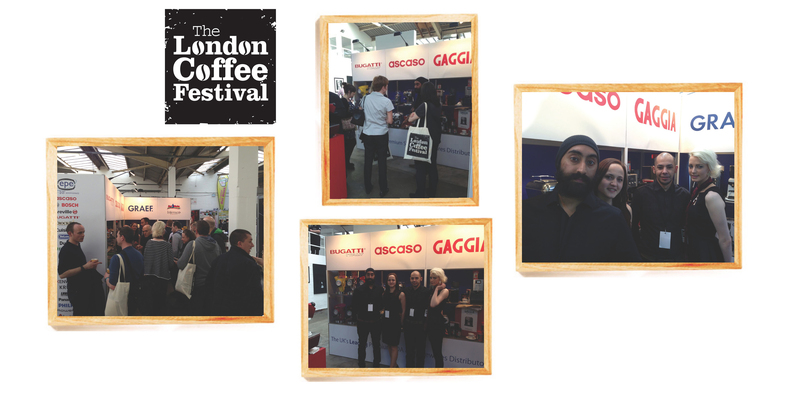 So please join us on the stand and why not have a chat with our sales representatives over a fresh coffee prepared by the highly trained Gaggia baristas. 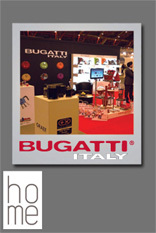 In addition to this, over the 5 days we will be demonstrating a range of premium brand products right there on the stand. 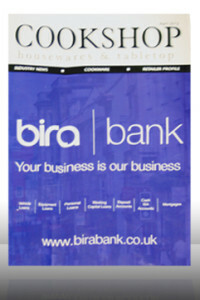 So please come visit us, we look forward to meeting customers old and new. 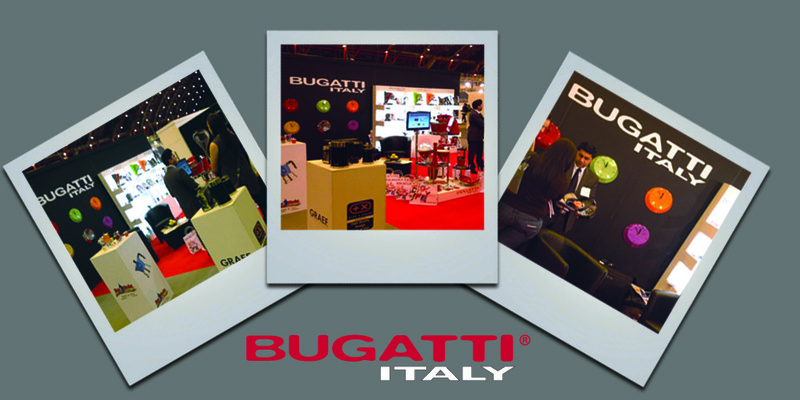 EPE Group with Ascaso, Graef and Top Moka will also have product presence at the show.